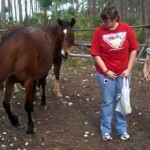 Karen and Ingeborg traveled from Ohio to Abaco just to see the horses! 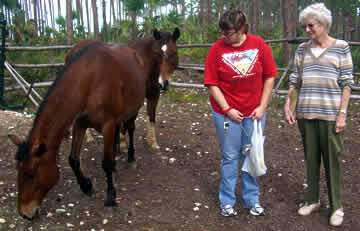 Karen and Ingeborg met the mares just after the mares had finished breakfast and then followed the mares as they went foraging in the forest. This entry was posted in Visitor Log. Bookmark the permalink.